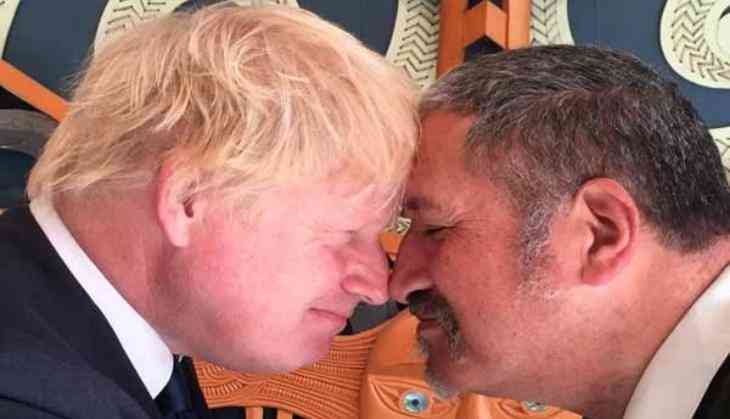 UK Foreign Secretary Boris Johnson, who has a history being gaffe-prone, joked that the traditional Maori greeting 'hongi', in which people press their foreheads and noses together, could be mistaken for a headbutt. New Zealand became the latest nation to become a victim of Boris' blunder, after his previous cases of insulting the populations and leaders of nations from the US to China and Papua New Guinea. "I think it's a beautiful form of introduction, though it might be misinterpreted in a pub in Glasgow if you were to try it," he said. A "Glasgow kiss" is a term sometimes used in Britain to describe a headbutt. Johnson is currently in New Zealand to strengthen the UK's ties with the country, amid Brexit preparations, as formal negotiations regarding the UK's departure from the European Union began on June 19, reports CNN. Johnson said it was his first time in New Zealand, that the country had much in common with the UK and that he "was learning" about the differences between the two nations.